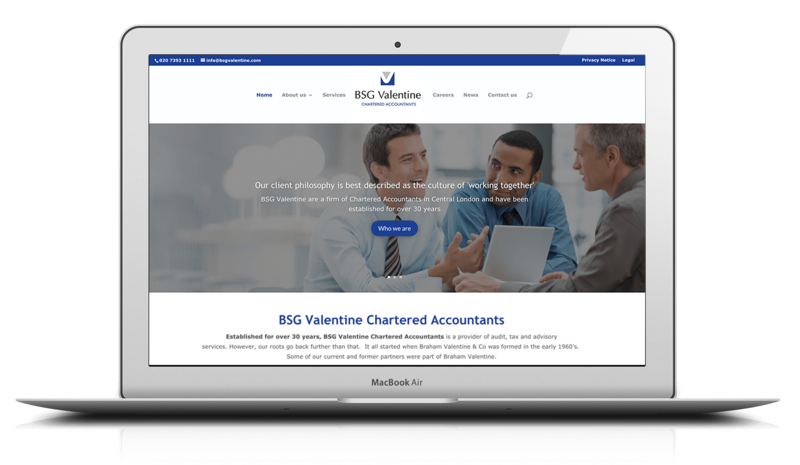 BSG Valentine are a 12-partner firm based in central London. They have been in business for more than 30 years and provide audit, tax and advisory services for all sectors and specialisms. 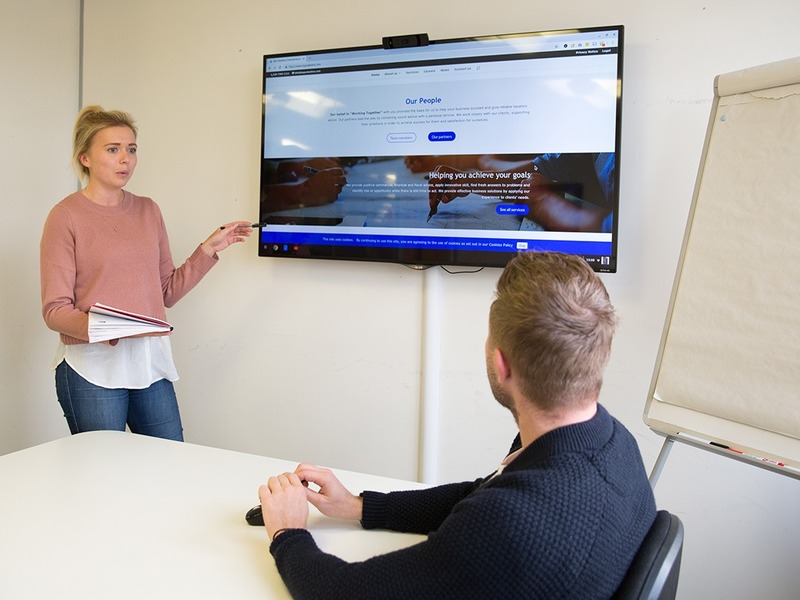 The key goal for the website was to give a professional first impression to prospects and support them with client referrals. The current site was no longer achieving this. One of the problems was that it was unresponsive, not only providing a bad user experience when people viewed their website on mobile, but also risking losing traffic with the changes to Google’s algorithm. 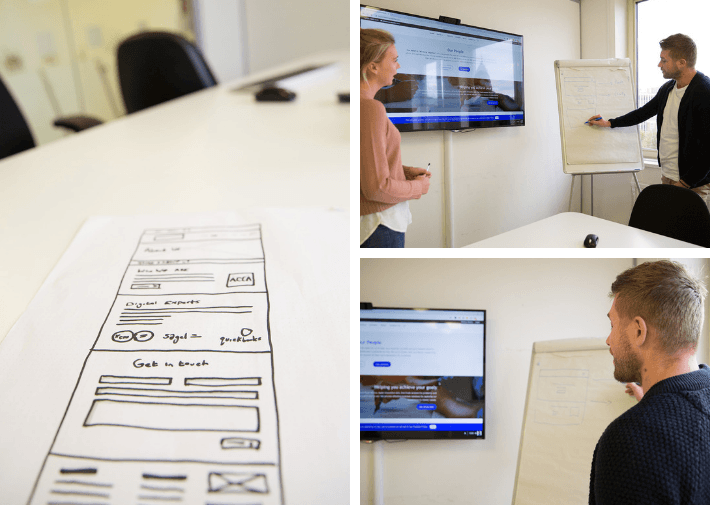 BSG Valentine looked to us for guidance on how to improve their online presence and showcase their range of services and skills. For this project brand presence was the most important objective. Their website needed to provide a good representation of the company for current clients, prospects and potential new employees. They also required regular expert content to go out to their clients and prospects to add value to the service they provide. We provided BSG Valentine with a high-performing, responsive website that looks aesthetically pleasing and professional, and a strong representation of their brand. This included our popular newsletter pack, which includes fortnightly email newsletters, newsfeed and dates and deadlines, providing BSG Valentine with engaging content, adding value to their services and encouraging people to get in touch with them for more expert info.